Introducing CooLifting – unlock your skin’s potential for radiance and luminosity in just minutes with the newest facial technology from Europe. CooLifting is a new facial that combines a controlled spray of carbon dioxide and a blend of hyaluronic acid and botanicals to generate beautiful results with no downtime, no injections, and no pain. It has been observed that when skin is exposed to high concentrations of carbon dioxide, the body responds by releasing more oxygen to the area, creating a lifting and plumping effect. CooLifting is a “Dermal Delivery System” (DDS) – a technology that improves the application of active ingredients on the skin. CooLifting’s unique hyaluronic acid serum also contains sorghum bicolor stalk juice and wheat protein, which help improve skin’s general appearance. Simply put, cryotherapy is treating the skin with extreme cold. 100 years ago, practitioners employed a block of dry ice carbon dioxide to treat problem areas of the skin. Today, carbon dioxide is sprayed onto the skin in combination with hydrating serums to restore hydration, luminosity, and create a more youthful look to your skin. Simply put, cryotherapy is treating the skin with extreme cold. 100 years ago, practitioners employed a block of dry ice carbon dioxide to treat problem areas of the skin. Today, carbon dioxide is sprayed onto the skin in combination with hydrating serums to restore hydration., luminosity, and create a more youthful look to your skin. § Luminous and radiant skin. § Increased hydration for a more youthful and healthier looking skin. § Tissue stimulation for even skin and fine line lifting. § Calming of skin after microneedling, microdermabrasion, laser surgery and other procedures. § There is an immediate luminosity to the skin. You will also notice a lifting/tightening effect within 12-24 hours of the treatment. Clients who sign up for a package of three treatments, followed by monthly follow-ups, will see substantial improvement over time. § Is there any maintenance required after a treatment? § Post-treatment, you can return to your regular skin care regimen, with a good moisturizer followed by a mineral sunscreen. These guidelines also apply if you get CooLifting “maintenance” treatments. § Can people with sensitive skin be treated with CooLifting? § Yes. 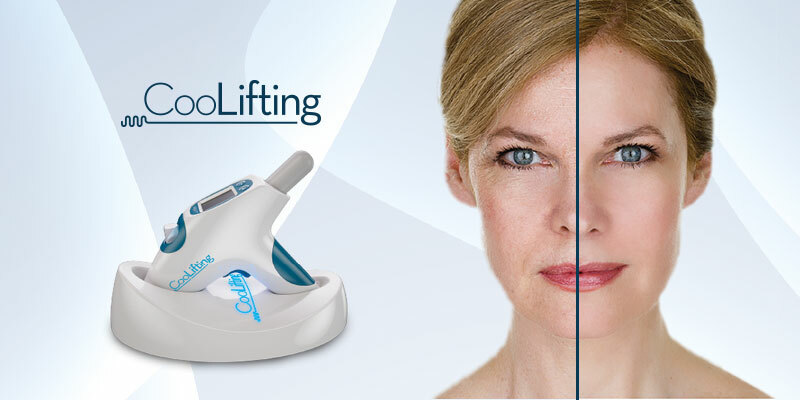 CooLifting can be used on all skin types or degrees of pigmentation. § Is it ok to use CooLifting after microneedling? § CooLifting can be used in conjunction with microneedling, chemical peels, microdermabrasion, and other procedures to reduce the redness and inflammation caused by these procedures. § Is there any downtime after a treatment? § There is NO downtime after CooLifting. In fact, it’s a perfect “Red Carpet” facial before a special event like a black tie dinner, wedding, or class reunion.